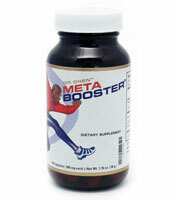 Why is Dr. Chen MetaBooster a Healthy Metabolic Booster? Dr. Chen MetaBooster is an all natural supplement that promotes the transformaton of nutrients into energy. Instead of steroids, medicinal herbs or chemicals, energize naturally with Dr. Chen MetaBooster. MetaBooster contains a powerfully effective combination of amino acids (protein building blocks) and Antioxidants. This formula helps you achieve optimum health by boosting metabolism while providing antioxidant support. 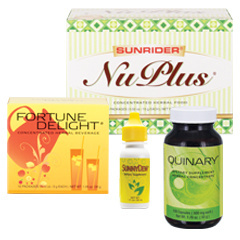 This natural supplement delivers healthy energy. It helps you generate more energy from the nutrients you consume. Ideal nutrition for athletes or anyone susceptible to stress. 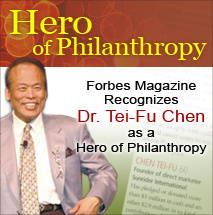 In the video below, Dr. Reuben Chen, son of Dr. Tei-Fu Chen, describes MetaBooster. DR.CHEN METABOOSTER Defies the Aging Process! The natural antioxidants in MetaBooster help the body fight free radicals, which can damage cells as you age. Metabooster supports all bodily functions that require energy. It is ideal for active people and those susceptible to stress. It enhances metabolism deep down at the cellular level with an exclusive combination of ingredients not found in other metabolic boosters. A sound metabolism is crucial to maintaining optimum health. MetaBooster contains an easily absorbable antioxidant to fight free radicals, help dissolve toxic substances and enhance the benefits of Vitamins C and E. In addition, it contains an essential amino acid to help support and improve the body’s natural immune defenses. Take three to five capsules at mealtimes. Always have Metabooster with some food. Don’t take on an empty stomach. Many people find 4 to 5 capsules a day are perfect for them. It is safe to have more. If you are a bodybuilder or highly athletic person, you may want to go to the higher amounts. Great before a workout! You may have heard of some of the ingredients in Metabooster in recent years, since many studies have been done. It is a unique blend of ingredients and in the right combinations for our bodies. L-Arginine: Plays an important role in cell division. Beneficial for heart and circulatory diseases, combats fatigue, stimulates the immune system, and causes the body to release vital hormones. Also increases lean muscle mass, burns fat, lowers cholesterol, speeds recovery from surgery and injury, and plays a role in the brain and nervous system – crucial in memory and learning. L-Arginine is an essential amino acid that has been utilized by athletes for the past thirty years to achieve optimum performance. Your body needs it for muscle metabolism and to aid in weight control, since it facilitates the increase of muscle mass, while reducing body fat. L-Arginine is an important component in the healing and repair of soft tissue, the formation of collagen, and in the building of new bone and tendons. Acetyl-L-Carnitine-Hydrochloride: Naturally occurring compound that supports normal brain and nerve function during aging through various mechanisms. These include its actions on acetylcholine synthesis, cellular membrane stability, nerve growth factor production, and cerebral blood flow. Keeps your mind sharp and your memory keen. Provides valuable nourishment for brain tissues, making it an excellent choice for promoting memory and concentration. L-Carnitine is made in the body from the amino acids, lysine and methionine. Research has shown that L-Carnitine plays an important role in transporting fatty acids into the mitochondria. The mitochondria are those parts of body cells that act like power houses and make energy available to the body. L-Carnitine can increase athletic performance – efficient energy is released from burning fat. Alpha-Lipoic Acid (ALA): A powerful antioxidant that is beneficial for many age-related diseases, from heart disease and stroke to diabetes and cataracts. The body needs ALA to produce energy. It is critical to the mitochondria, the energy-producing structures in cells. Foods contain only tiny amounts of it. What makes ALA special as an antioxidant is that it is so versatile – it helps deactivate a remarkably wide array of cell-damaging free radicals in the body. AL helps protect the mitochondria and the genetic material, DNA. As we age, mitochondrial function is impaired. ALA also works closely with vitamins C and E and some other antioxidants, “recycling” them and thus making them much more effective. Taking ALA before and during a workout can increase performance, help take nutrients to your muscles faster, and improve strength and muscularity. L-Lysine: Lysine is an essential amino acid and is important for proper growth. Helps the body absorb and conserve calcium. L-Lysine also helps in the formation of collagen, important for bones and connective tissues, including skin, tendon, and cartilage. May help prevent bone loss associated with osteoporosis. Niacin: Also known as Vitamin B3, is a water-soluble vitamin. Plays essential role in energy metabolism in the living cell, DNA repair, and improving circulation. Zinc: Zinc is a mineral, present in every part of the body and has a wide range of functions. It helps with the healing of wounds and is a vital component of many enzyme reactions. Zinc is vital for the healthy working of many of the body’s systems. It is particularly important for healthy skin and is essential for a healthy immune system and resistance to infection. As we age, healthy cells are reduced and the body degenerates. 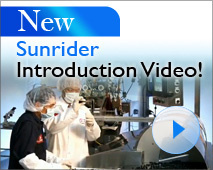 We produce fewer healthy cells at a slower and slower rate. The older you get, the harder it is for the body to regenerate. MetaBooster is based on Dr. Chen's Philosophy of REGENERATION! MetaBooster is perfect for a low carb diet, and to achieve natural weight loss with a faster metabolism. MetaBooster works even better when used with our low carb foods and naturally healthy herbal drinks.